Discover this Gucci Le Marche des Merveilles 18kt yellow gold feline head open cuff bracelet to add a fresh-edge with an urban flair to your style. 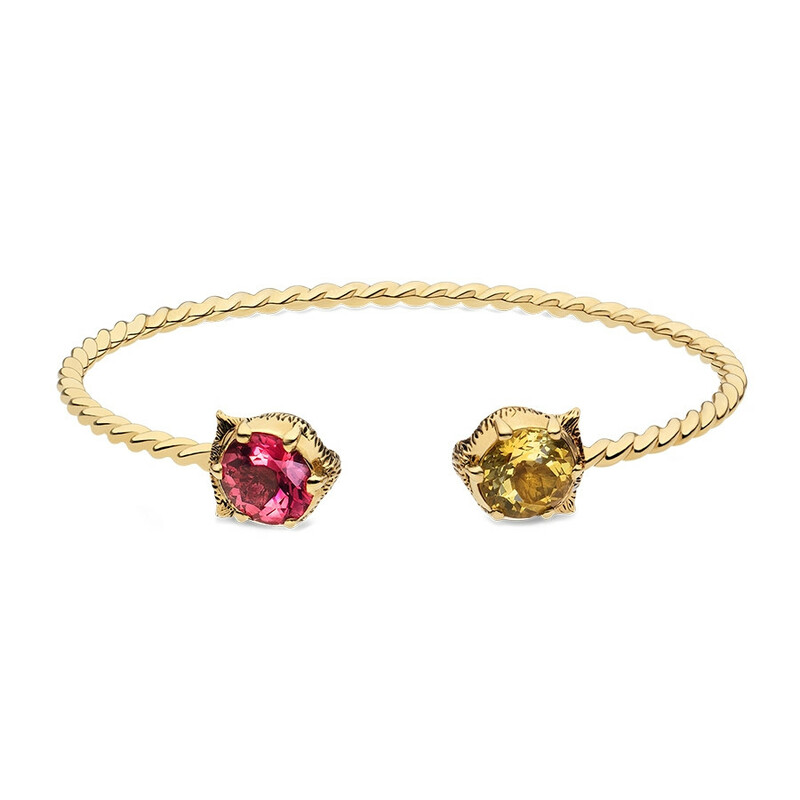 Two intricate feline heads bestow carved faces featuring luminous diamond-set eyes rest on one side, while the other houses precious pink tourmaline and stunning yellow beryl gemstones. Gucci is redefining luxury of the 21st century through innovative design and diligent craftsmanship.